HTC official tweeted a while ago about official Android 4.3 for HTC One Developer Edition to be rolling out soon. It appears that the users in Taiwan can already download HTC One 3.18.709.2 update which will install Android 4.3 on One devices. 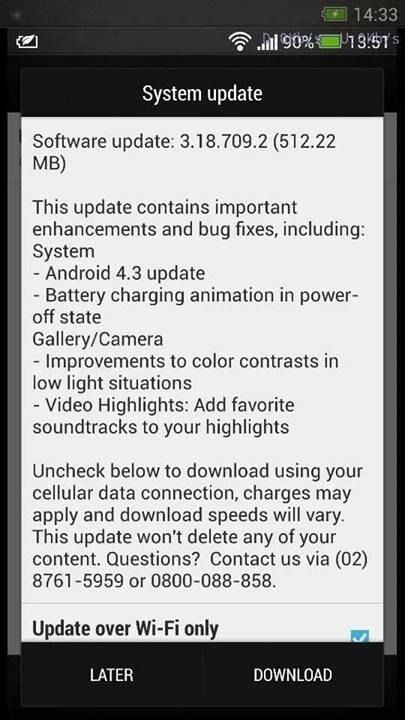 As reported by many users, they are beginning to see an OTA JB 4.3 update which weighs up at 512 MB approx.. 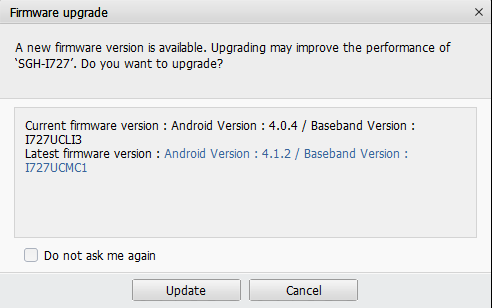 The software update version is 3.18.709.2 and the changelog clearly mentions it to be the HTC One 4.3 update. The update is expected to hit the devices all over the world in days to come. HTC official also announced the availability of the update for Dev Edition devices by end of this month. So, those with HTC One Developer Edition should get their devices ready to receive the update. As for North America update, it’s still not clear when this update will be released for users in the US.